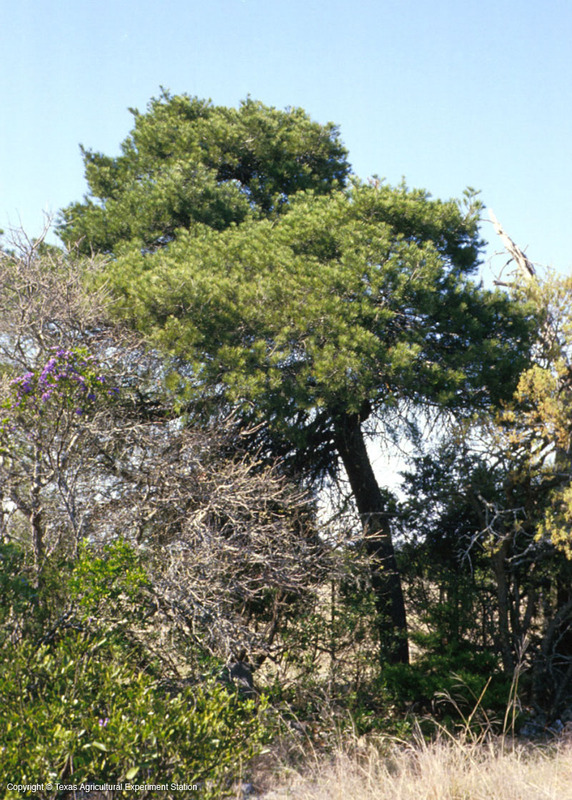 Mexican pinyon is a handsome tree with a pyramidal shape and rich blue-green needles that grow in bundles of 2 or 3. 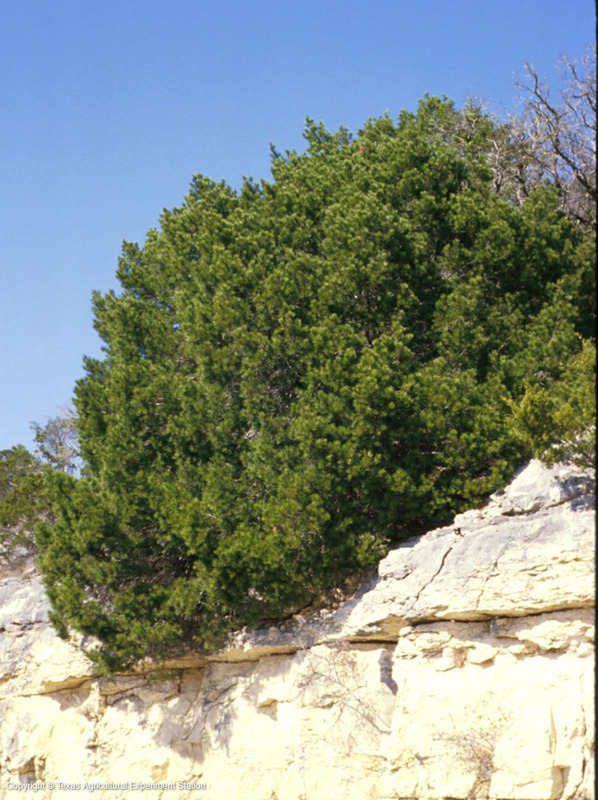 It grows at altitudes of 4,000-6,000 feet in the southern part of the Trans-Pecos. 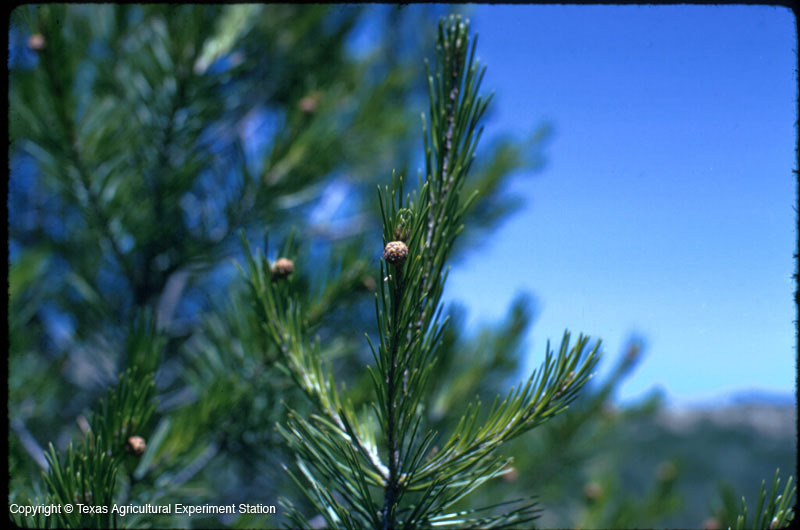 Mexican pinyon is a tough, drought-resistant tree that tolerates dry rocky soils, but not heavy, wet clays or overwatering. 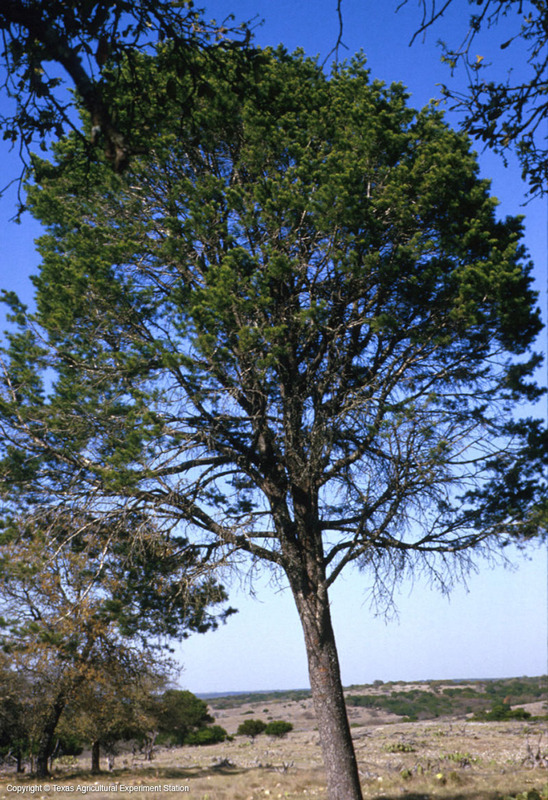 Although it can reach 70 feet, it is more commonly 20 to 30 ft. high. Its large seeds (nuts) are edible, but have very hard shells. 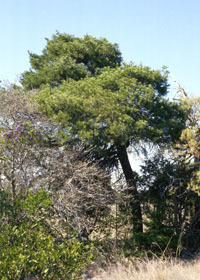 It is very closely related to Remote Pinyon, P. remota, but Mexican Pinyon usually has a more conical crown and Remote Pinyon a more rounded one.